Here we are with another week of sales! While I’ve been out and about I’ve seen cherries on a Manager Special for $1.99/lb and brisket for $2.49/lb at Randalls, and a bunch of bagged salad marked down at the HEB of Broken Dreams (Oltorf & South Congress). Remember, if you see a good deal at your store, let me know and I’ll share on FB and twitter! My first week of Shipt shopping is going well. It’s not a cheep way to get your groceries, but if you give it a go and are south you might get me as your shopper. Let me know if you order! If you ate all your cheep cheese, here’s more. I’m in before the weekend and we’re just going to call it good. (along with a touchscreen that I seem to touch for NO REASON) so I’m ON FIRE with deals. But I’m not going all Scott Elder, so don’t worry on that score. It’s not like Cheepie is in a nickle pickle or anything. 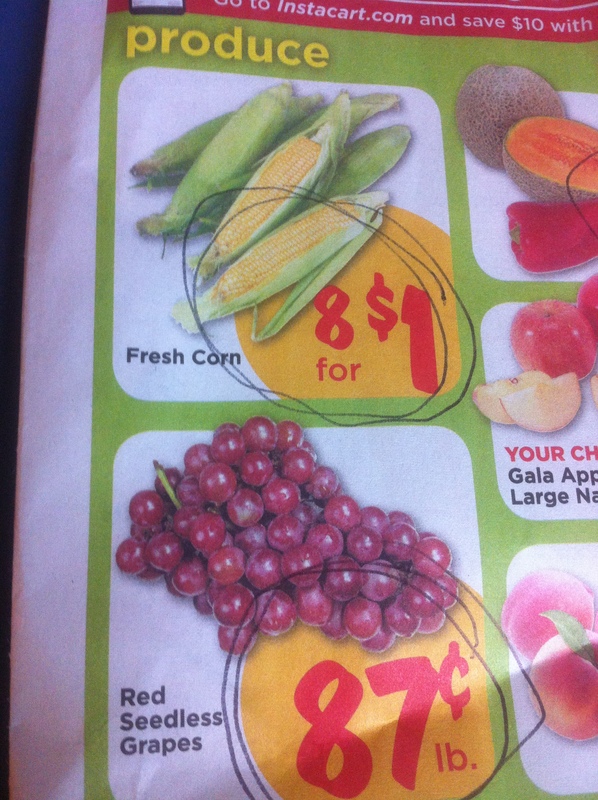 We’re inching toward the time where fruit gets dopey cheap and I start getting a bit hyper about corn (so far, I’ve seen 3/$1, but I know 6/$1 is coming so I don’t bother)(that’s still pretty cheap though)(If you make corn casserole invite me). The big BBQ meat cuts also start going on sale, so there’s stocking the freezer sales. With luck, there will be another $1.99/lb brisket sale! This week we’ve got blackberries for their rock-bottom price. They freeze dead easy and are great to make into smoothies, cobbler, or just cover them with sugar and tell the kids they’re a new kind of cereal. Also cheap this week: tomatoes, cucumbers, cheddar cheese, cantaloupes and eggs. Potatoes and mangos are also at stock-up lows. Mango freezes well once you have it diced, and potatoes will keep if you keep them dark and cool. You be you, Fiesta, come what may. Get out there and shop, Cheepsters! Let me know if you find a great deal. I’m close to putting a zero-purchase rule in place for straight-up carbs. My pantry is jammed full of pasta, the breadbox is full, and I’ve got to stop ‘stocking up’ and start ‘eating this stuff I’ve already bought’. Rice and potatoes are super cheap at Fiesta this week, though, so, you know, we’ll see how that works out. Maybe I switch Taco Tuesday (already adapted to include sandwiches, the Yankee Taco) to Baked Potato Tuesday? Maybe. 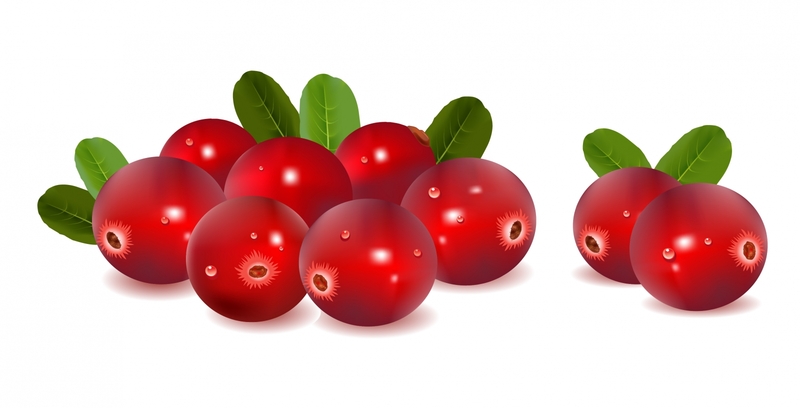 Cheap fruits this week are grapes, raspberries and limes. Onions, canned tomatoes, and kale are good veggie deals. I mean, it’s still kale, even if it’s on sale, but maybe you’re on the Kale Train. I tried, but my Ninja blender doesn’t turn kale into a lovely blended drink, but instead yields a weird green froth-slime that seems like more of a punishment than a healthy morning beverage strictly needs to be. I’ve listed salmon here, which isn’t at my usual meat price point, but for wild caught salmon it’s a good deal. Split chicken breasts, pork chops and cheese round out the good protein options this week. Last, did you see my congee post? It’s great. Includes a photo not by me, so it looks super professional. The post is the first in my new plan to post a flexible, budget-friendly meal that uses up some of the never-ending parade of leftovers our refrigerators see come and go (and go all to often into the trash bin) once a week. If you’ve got suggestions for the weekly recipe, let me know! I’m hoping the list will become a useful resource. I cannot contain my excitement. I read a LOT as a kid. Tons. All kinds of stuff. 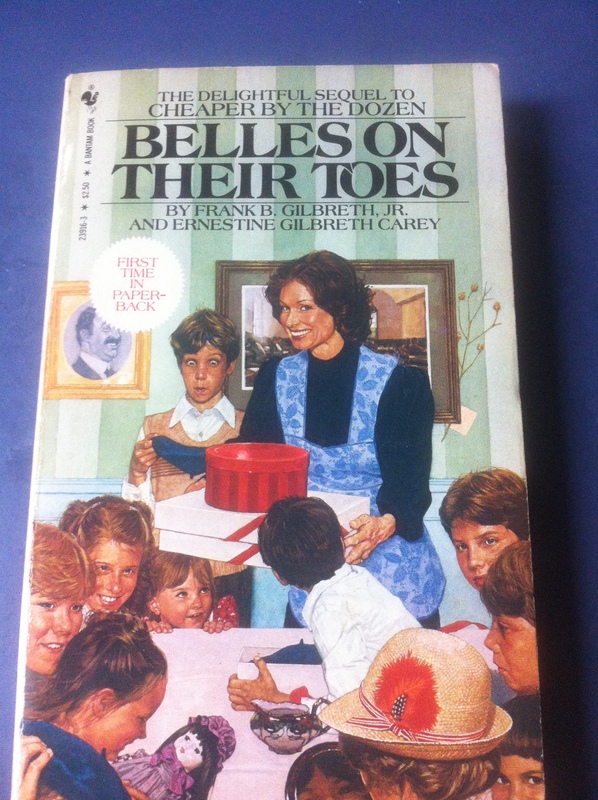 I loved the older books, Cheaper by the Dozen, Nancy Drew, the intrepid Boxcar Children. You know what kids in those books often had? Green Stamps. Booklets, and stamps, and the store was involved, and you saved for stuff. Sisters fought with brothers over roller skates vs. microscopes. I remember wishing that somehow my grocery store would give me a microscope for collecting things. Got a kid? This book is a riot. It’s possible the stamps were part of the war effort and my horrendous history education is confusing fiction with the era of women drawing lines on the back of their calves to emulate stockings. It’s possible romance novels have played too large a part in my history education. I’m still happy. Randalls is bringing back green stamps! For knives and stuff. I can’t believe I spent $80 there today and the damn thing starts tomorrow. More on that later. There was a reason, I swear. If you’re also now very excited, every $10 gets you a stamp. Stamps get you stuff. That’s all I know at this point because I’m a tiny blogger and Randalls isn’t sending me press releases (though they should, since I’m one of the few that hate them in a mocking way, rather that just hate them). Yes, I know it’s not a solid investment, But as someone that spends dollars at Randalls, between this and the gas rewards I’m amused by the weird way grocery pricing works. Here are the deals. Nothing too striking, just a few swipes at the Apple Wars to come. I hope you’ve stocked up on meat, since we’ve got a dry spell heading into the poultry bonanza of November. Cheep Cheep! With the holiday weekend, there is a lot of meat on sale out there. It’s not a Randalls Brisket Lunacy Week (seriously, $1.99??? ), but under $3 isn’t too shabby these days for brisket. Also, someone at HEB was hoarding corn, and is throwing it out there for 12.5c per ear. I *love* this guy. Yay corn! Other highlights include bacon, tomatoes, avocados and spareribs, and organic apples for under a buck a pound! Some of you might have seen a truncated version of this post. Sometimes, ‘preview’ and ‘publish’ are just too similar. Sorry about that. It’s possible I like corn too much. I know, I’m a bit late, but what great news I have for you! Pork loins are on sale again! 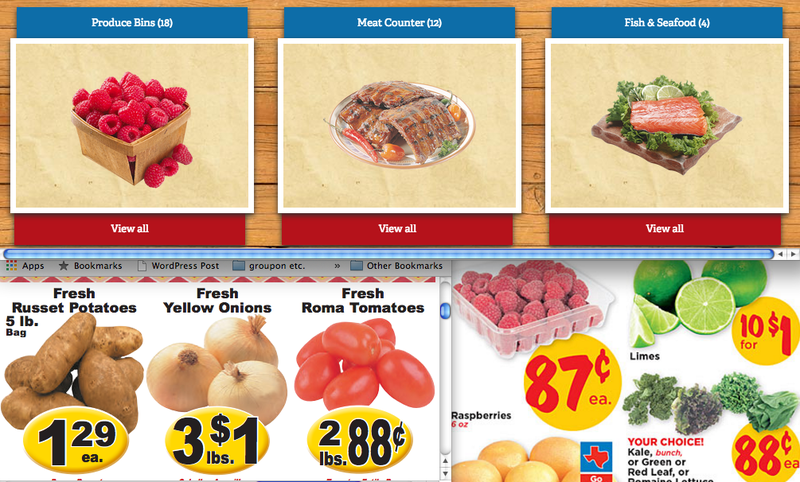 I love this sale–$1.97/lb is definitely a stock the freezer price. Portion them out and freeze them and they’re a super handy item to have for an easy weeknight supper. Spare ribs are also on sale at Fiesta, along with something called ‘beef back finger ribs’. If you get these, let me know what you did with them, because I suspect Fiesta of making up food again.